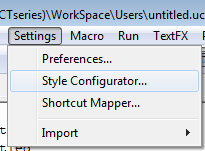 In our workspace editor video we show that you can use notepad++ to edit configuration files associated with your workspace. We really like this editor for many reasons – line numbers, search, etc. Earlier this week our friend Chuck R. (aka caddcop) sent me an email explaining that you can add the UCF and CFG extensions to bash. Doing this will change the formatting making the files easier to read. Basically, this means comments are green, conditionals blue, lines of code black and so on. 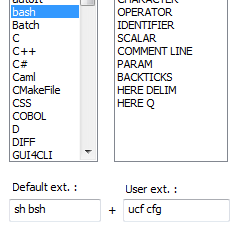 Select bash from the left list box, and at the bottom under User ext: add the extensions separated by a space.